May 2010 in Memphis, TN: I open the door to my downtown hotel room. It smells a bit musty, the floors a bit creaky, and the noise from the street is surprisingly audible for a hotel of this rating. I reach for a complimentary water bottle to discover that the bottle's security seal had already been broken, indicating the bottle was already consumed and then refilled. All this comes after my first impression, where I had trouble getting into the hotel in the first place because they lock their doors at night to keep the crazies of the night outside. I felt uncomfortable. Really uncomfortable. And I didn't want to stay here for the next 3 nights that I had booked. Turns out there's more to Memphis than Beale Street! So I called Hotwire. I spoke directly to a Hotwire Express support representative in the United States. After listening to my story, she explained that Hotwire doesn't offer refunds or exchanges (which I knew), but due to my history with them, they were going to rebook me in another hotel at their expense. Little did I know at the time that I had access to a super secret special customer support number for Hotwire, known as Hotwire Express - one that connected me directly with their premier support team, dedicated for frequent travelers who book through Hotwire. I was honored. In fact, I wasn't the only one. In the late 2000's, Hotwire received three consecutive awards for "Highest in Customer Satisfaction for Independent Travel Web Sites". Hotwire already had a great product. Now that I knew they had this level of service for their best customers, I was hooked. This was a safety net. In the event the worst happens, they'll be there to make things right. 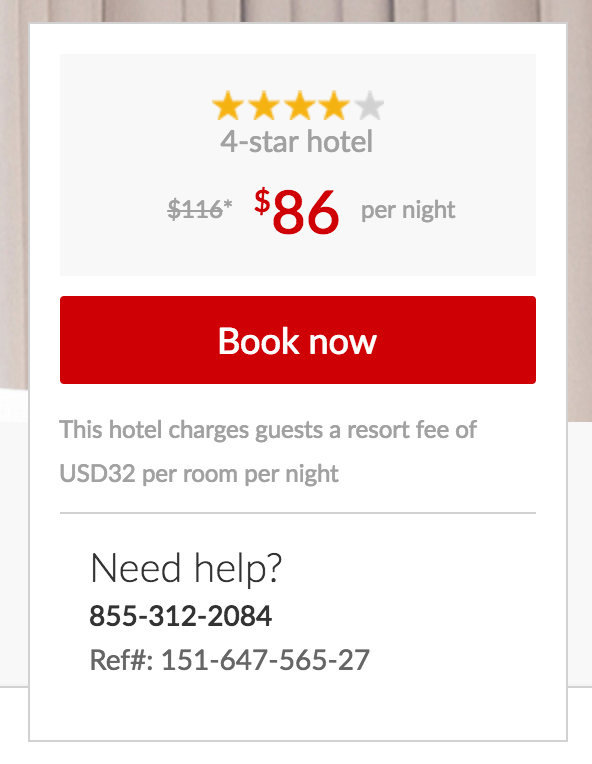 If you aren't familiar with Hotwire, it's the hotel booking site that rose to fame because they offered discounts over other sites by not revealing the name of the hotel until after you book it, only allowing you to choose the star rating ahead of time. For those of us who like living on the edge, it's kind of fun. But Hotwire isn't without its faults. One of the things that has irked me the most is the deceptive ways in which they list resort fees, the pesky fees some hotels use to anchor their price within the range of competitors, then later making up the difference with a fee paid directly to the hotel. But in all cases where there's a resort fee, the fee is listed directly below the BOOK NOW button. That is... all cases, until this week. 2016 in Lake Arrowhead, CA: During my stay at Lake Arrowhead Resort and Spa, I woke up to a folio slipped under my door with a $20 resort fee listed. With no recollection of this fee, I double-checked the Hotwire listing where I booked the hotel. Sure enough, no resort fee was listed. I checked in with the front desk, as I didn't recall signing anything acknowledging the fee. As it turns out, they had eliminated the registration card, since they assume the fee is listed when booking the hotel. 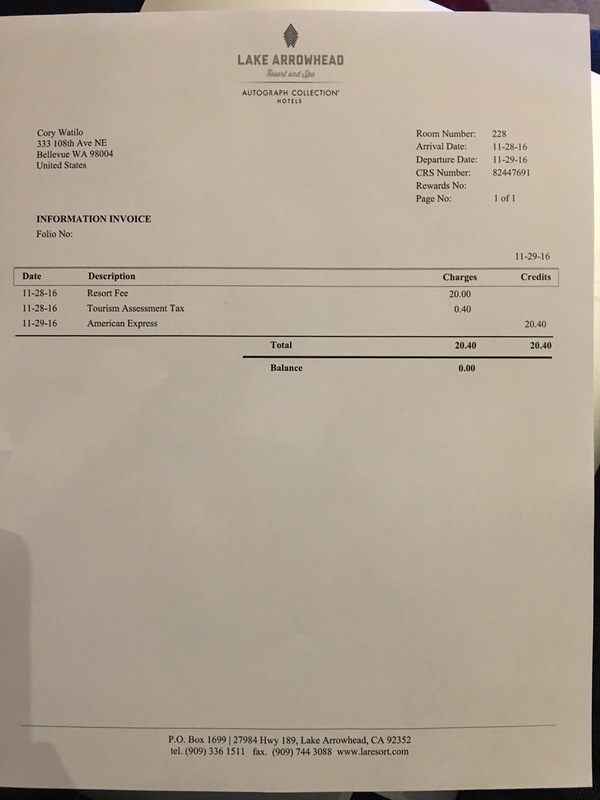 So now we've got a hotel that charged a fee without authorization, but really it comes down to Hotwire's lack of transparency when booking the hotel. Emailing Hotwire support stonewalled me just like the phone rep did. Before you complete the reservation, we provide the terms of the Hot Rate® booking for your review. The policies includes, "You pay the hotel directly for charges like room service or resort fees." Therefore, by clicking the "book now" button, we assume that our customers are fully aware of the policies governing the reservation. We regret we re unable to honor any refund at this time. For some reason, the resort fee is listed here, unlike in the Hot Rate section. I'm fairly certain this is a weird bug. 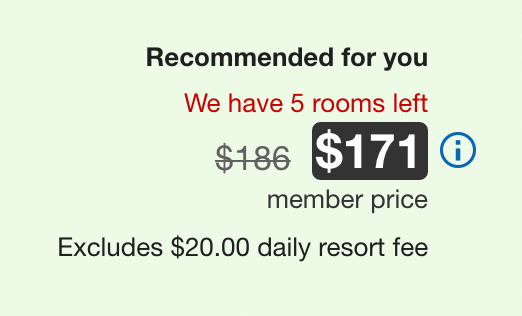 I see absolutely no reason why the resort fee would be listed in one place but not another. How are multiple channels of their support team unable to understand a customer's perspective here? How are they not willing to let me talk to someone in charge? Uhh, what happened to their premium customer support line (Hotwire Express)? I tabulated how much money I've spent with Hotwire over the past 7 years: $16,327.06. This isn't to say that I deserve better support than others, but many companies do keep tabs on the lifetime value of their customers in an effort to keep the more profitable ones happy. What's more frightening than the fact that this fee wasn't disclosed, is the fact that the people on their front lines have zero compassion or sympathy for their own customers. As a business owner myself, whenever a customer experiences a problem, I always try to make it right from their perspective, even if that means sucking it up or losing money on the customer. Obviously that level of support doesn't always cascade down to lower-level employees, but for pete's sake, what has happened to Hotwire over the years? The experience I had with them in 2010 is what has made me stick with them all these years. They did what I was just talking about. They lost money on that sale, but made the effort to make it right, and I think it's paid dividends for them. But as it turns out, I'm finding out Hotwire has discontinued the Hotwire Express program, the program that boosted their customer loyalty by providing great customer support in the first place. I'm not sure what's changed over the years. I'm guessing corporate repositioning, a shift in management, and an effort to become more profitable. 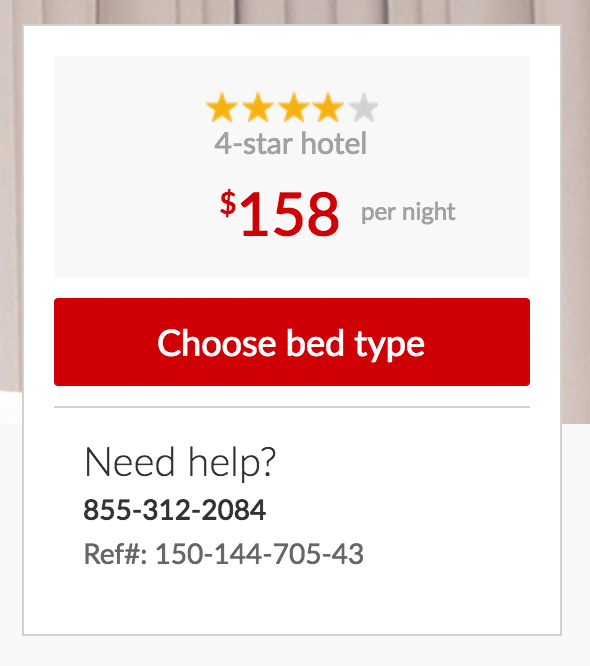 It seems as if Hotwire has changed their focus to be more on the bottom line and less on their customers. It's sad to see, especially when they used to be known for their customer service amongst their most frequent of customers. I'm hoping this is a one-off experience that I had, but sadly, this experience will make me think twice the next time I'm booking a hotel. Can't check my reception - If something isn't loading, I don't have an easy way of troubleshooting the problem. Can't see if I'm on wifi or cell network - If I'm clicking on a video link, I might want to double-check to make sure I'm not going to eat through data from my cell plan. Way too small of a tap area - If you read even Apple's design best practices (under Hit Targets), they'll point out that you should allow a good amount of padding for finger tapping. Google solved this adequately within their own suite of apps, like in Chrome, by overriding the app's Back button with a button that would return you to the Google app where you came from - a very elegant solution. It's almost like the people designing iOS these days don't even use this stuff themselves. 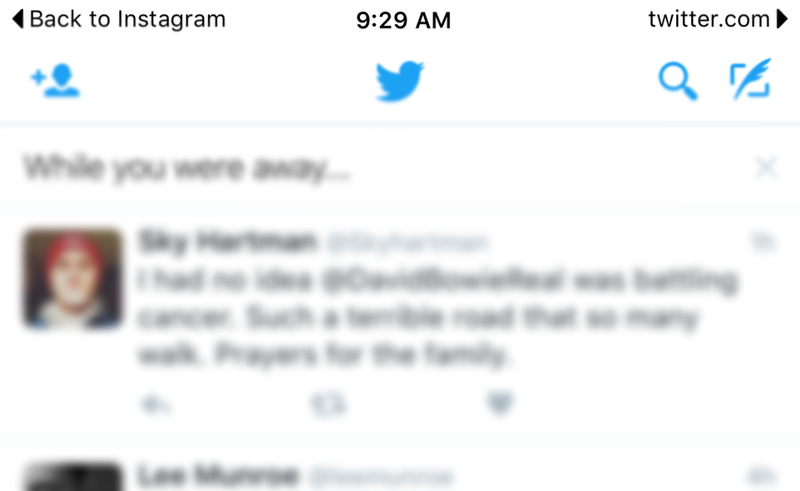 If they actually used iOS like normal people, they'd realize that these "improvements" in design are huge steps backwards in usability. Even more than that - with every little design inconvenience, I love iOS less and less, and while this isn't quantifiable in a focus group or user testing session, over time, I guarantee you this will begin to wear on people. Surprised? I sure hope not. It continues to astound me that websites with a large user base and trajectory seem to be a good enough reason to go public. Many of these sites are the fad of the month but happen to catch mainstream hype at just the right time. Let me say this: Because you write software and attain a large audience and good traction and get decent mainstream press, these reasons alone are not a good enough to go public. There's a catch-22 in the internet business: Salaries are often subsidized with equity. This traditionally works well with traditional, brick and mortar companies. We're talking about companies that build hotels, chains like Starbucks, or the company that makes the straws that we all use in our Starbucks drinks. But it seems as if internet companies now feel pressured to cash out or go public because of the amount of options they've given away to their early hires, and the number of people relying on them who expect an exponential return. Also layer in the fact that VC firms expect to turn theoretical value on paper into real, cold hard cash in a relatively short period of time. As a result, you're left with a whole slew of companies who aren't ready to be scrutinized in the public financial market. The old criteria for an IPO candidate used to be businesses with remarkable traction and revenue trajectory. But when the internet came along, everything changed. Suddenly, companies could see exponential growth almost instantly. (Come on, that's pretty easy. When you go from 0 to X...) But as we've seen, that doesn't necessarily ever last. Anybody remember the .com bubble? It almost seems like user adoption maybe isn't the best metric for long-term financial success. Crazy! For those who don't remember, Twitter didn't start out as a startup with hopes of ever going public. In fact, the founders of Twitter, in 2006 at the time it was created, worked at a podcasting website, Odeo, and things were headed downhill. They realized they needed to reinvent themselves and ended up creating the concept that Twitter is today. When it comes down to it, Twitter is a marketing site where its audience (users) is sold to advertisers. Let me say it differently: the users are the product and the advertisers are Twitter's customers. Unfortunately, that's nothing unique to Twitter, nor to many internet startups and their stocks that have flatlined. Twitter hasn't built a railroad, nor a coffee chain like Starbucks, nor those straws that we sip out of every morning on our way to work. How is Twitter different than Facebook, from a monetary perspective? Not much, except that Facebook has done it better. Twitter has built a website that millions of us visit on a daily basis (and yes, I use it all the time) but when it comes to financial investors who don't understand crap about the internet, they're looking at a different metric. "Did you hit the growth potential we expected? Did you hit the advertising dollar figure we were looking for?" If not, you're screwed. "But Cory, what about company X that was super popular?" Let's take a look. In Yelp's case in particular, when their user growth and revenue flatlined, they had to find other ways to keep the charts looking like hockey sticks (up and to the right) and that's when it came out that sales reps were writing negative reviews about businesses, then calling them to upsell them to a plan where they could manage their reviews. How's that for a business model? So for those of you who put money into Twitter, or Yelp, or Groupon, just because of their upward growth... did you really think they would become the next Google? Or Apple? Put your money into a company like Salesforce, a company that continues to spread its tentacles into the hearts of businesses across the world. Put your money in Tesla, a company that's changing how we build cars. Or give your money to Google or Amazon, companies that continually create products that increasingly hold the data that we all depend on. Dropbox is an ideal candidate for an IPO - an established business with customers who pay for their services directly, and who continue to expand into other markets (B2B) as they become a more mature business. Uber is another company that has reached such critical mass and has such a large customer base with potential to move into other markets that they also will do incredibly well at an IPO. Let's move away from putting our money into companies that rely on us visiting their webpages, to survive. Real intellectual property is created when a company builds something better and more unique than anybody else. I wish companies like Twitter, Groupon and Yelp stayed private. These companies are immensely useful for a large audience, but when those growth numbers wear off, they shouldn't be penalized by investors who don't understand their value. Instead, they should stay private until the point where they are such a critical part of our lives where growth metrics don't matter, and instead, we value them upon their contribution to our lives. I tried. I really tried. When I found out about you, I was stoked. "Finally!" I thought, "A company that's going to disrupt the miserable car rental business!" And in theory, the concept is great. The only problem: The car rental business is a customer service-intense industry. Translation: your customer support has to be on point. Unfortunately, the customer support department at Flightcar seems to be largely non-existent. (Quite frankly, this is the last thing I expected from a well-funded Silicon Valley startup with top tier investors.) But before I detail my laundry list of personal experiences (including the phone call that put me over the edge), let's check some recent tweets. Extremely poor service by @FlightCar, if you are keeping my car at least reply to my email! Customer service doesn't end after you take it. @rujulz @FlightCar is an awesome concept -- but as an owerner/renter you guys REALLY need to step your customer service game. Its terrible. Thanks @FlightCar for being completely useless. Being given the excuse "growing pains" with complete failure to provide a service won't do. @FlightCar sent the email to you as requested on Monday. Still no response. What's up? @FlightCar I left my car with you over a month ago & it had 3 trips. I have yet to receive anything from you guys. Is that typical? Notice the timestamps on these tweets. These are all from just the past few weeks. The quote from @andrewjiang is spot on: "The human element is broken." I can safely say the encounters I've had with the people at Flightcar (non-sales related) have been some of the worst experiences I've ever had with support teams. We're talking along the lines of AT&T, Verizon, and dare I say Comcast? Flightcar, you have to fix this if this business is going to continue. The first time my wife and I rented through Flightcar, we waited for our airport pickup for 45 minutes before giving up and Ubering ourselves to the Seattle station. We ordered a 2009-2015 luxury sedan and were given a 2004 Audi A6. 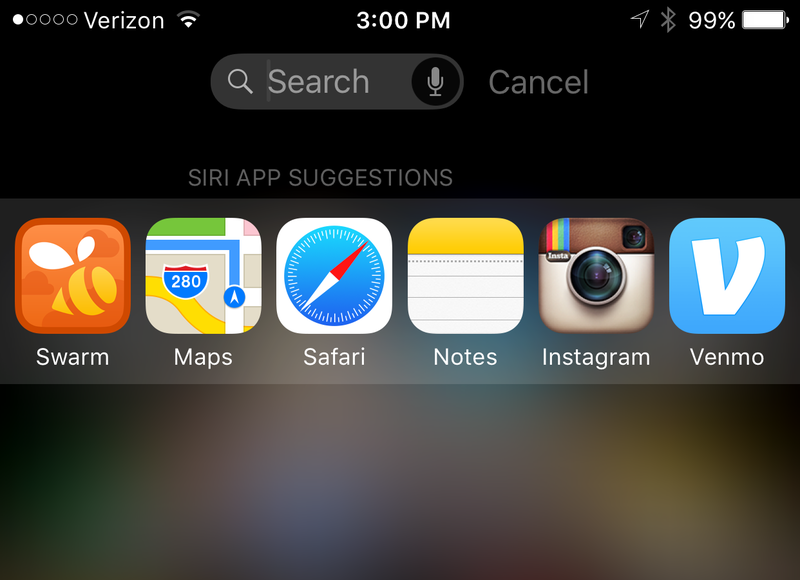 (Build-in navigation - what I was hoping for? Fat chance.) I returned the vehicle the next day. Getting our refund took 7 emails over 8 days. Deciding to give Flightcar the benefits of the doubt, we entered one of our vehicles in the monthly rental program. 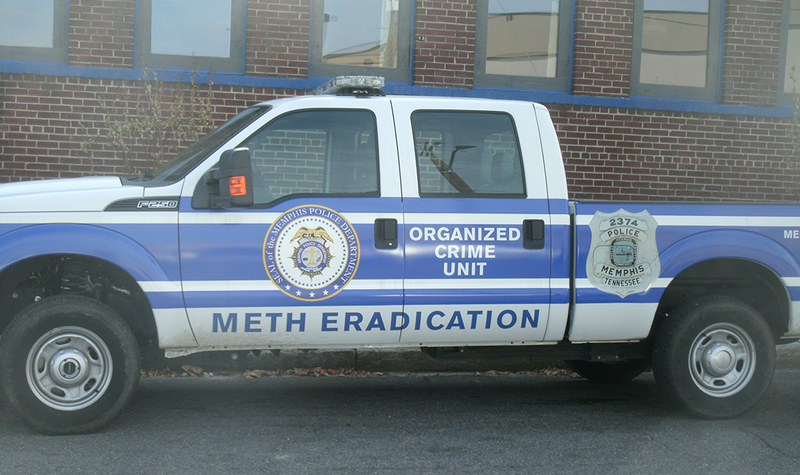 We were told the max monthly mileage put on the vehicle would be 1,800 miles. Our Jeep was pummeled with over 2,300 miles in less than a month, so we pulled it out. Within that time period, email notifications stopped working for a portion of it and we received no updates about when our Jeep was returned or rented, and no notice from Flightcar about the issue. But the latest issue in my series of terrible interactions, and quite frankly, my breaking point, involves a support call about missing floor mats from the Jeep we loaned to the monthly program. Getting no response in over 3 days, tonight I decided to call. I called the Flightcar support line, explained the missing floor mats, and asked to be transferred to the Seattle office so I could find out if anyone could locate them. The woman on the phone, bless her heart, believing my name to be Clory, couldn't find my account. (Really? Clory?? And yes, I clarified several times but it just wasn't processing.) After the battle to get that figured out (Cory with an i like igloo or y like yo-yo? ), she asked if I could describe what a floor mat is. Let me repeat, and I quote: "Can you explain more what is a floor mat?" Ma'am, I think you might be in the wrong business. BUT, it gets better. After getting transferred to the Seattle office, I can overhear the male representative talking to someone (possibly the woman from the call center), but he didn't know I could hear him. Some of the phrases I overheard included: "I've seen some floor mats but I don't touch them." "Yeah that's a lost and found thing." "This is the second person who's asked about floor mats." After several minutes of me listening in and waiting for him to address me, the call was disconnected. Not dropped. Disconnected. At this point, I decided to record the call when I called back. The recordings aren't nearly as money as the first call, but you'll get the gist. I believe the woman at the call center is the same woman I had previously talked to, though having talked to me literally 10 minutes before, it didn't ring a bell for her. And this time, she thought my name was Troy. Toward the end of the call, we got disconnected AGAIN. Hoping to give him my phone number so he could have someone call me back in the morning, I called the support center a third time. Except this time, the call center was closed for the night. Great. Still no resolution to my missing floormats. I had intended to try to loan Flightcar another vehicle, but seriously Flightcar, enough is enough. I'm done, and I hope you can clear up these amateur mistakes up very soon. You've lost my business for good, and from what I'm seeing on social sites, I'm not the only one. Thanks for listening and I wish you the best.